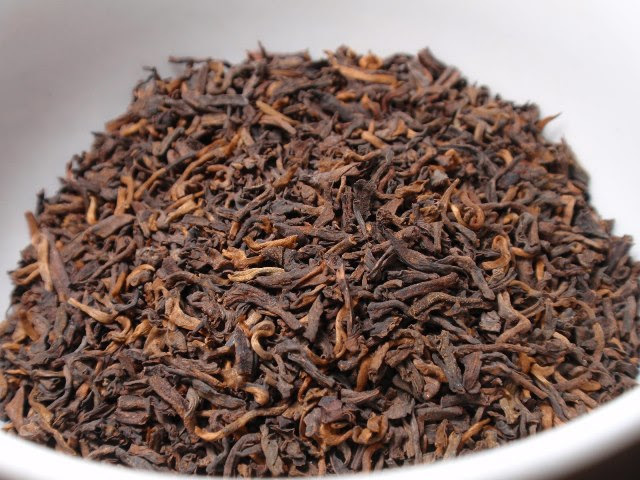 Product Description: One of the five main types of tea (white, green, oolong and black being the others), pu'erh tea stands apart with its uncommonly soft earthy flavor and woodsy tones. Unlike all other teas, pu'erh (pronounced 'poo-err') is actually aged. The tea leaves go through a natural fermentation process before the tea is gently dried. This creates a cup with zero astringency and deep, rich body. Pu'erh is extraordinarily smooth and deeply refreshing. Our Pu'erh Poe (the shou variety of pu'erh) gives a clean, woodsy aroma, warm hay inside a barn, mushrooms and savory vegetables. Wilted flower notes and a faint dark chocolate texture. Mellow and grounding. If the flavor is too strong for you, simply dilute with water (which, interestingly, doesn't work for many other teas!) 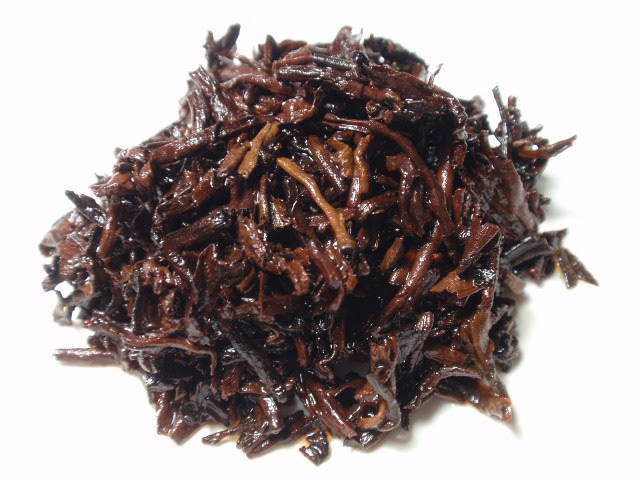 Pu'erh is extremely versatile - you can steep it for as little as 30 second or 30 minutes, whatever pleases your palate. It won't get bitter and is great for multiple infusions. The dry leaves have a smoky marine, earthy, and mossy aroma. 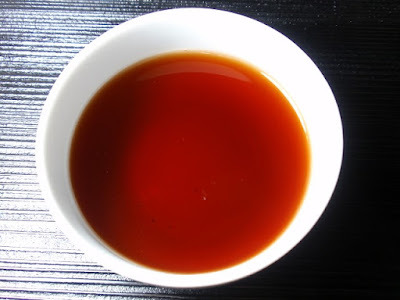 The dark red-brown infusion has a richly earthy aroma and taste. I prepared three infusions of this tea with the liquor darkening and the flavor becoming richer after each steeping. I would easily expect it to produce several more great infusions. Steeping time is very flexible and, for my tastes, 3-5 minutes produced great results.